Penny rugs were originally made from scraps of wool fabric or felt, as they were an economical way of using pieces that were too small to braid or hook. 19th century women saved scraps from men’s suits, hats or blankets. Named “Penny Rugs” because coins were used as a template. WELLFLEET — It’s easy to see history on Main Street until you get to the actual Wellfleet Historical Society and Museum. Since 1951, the town has had one small historical museum attached to an ungainly hulk of a two-family home. Like the original museum structure, the two-family dates back to the early 1800s. But its face was masked by a one-story addition to the front, which most recently housed the art gallery of the late John Mulcahy. We are very excited about the renovation project getting underway. 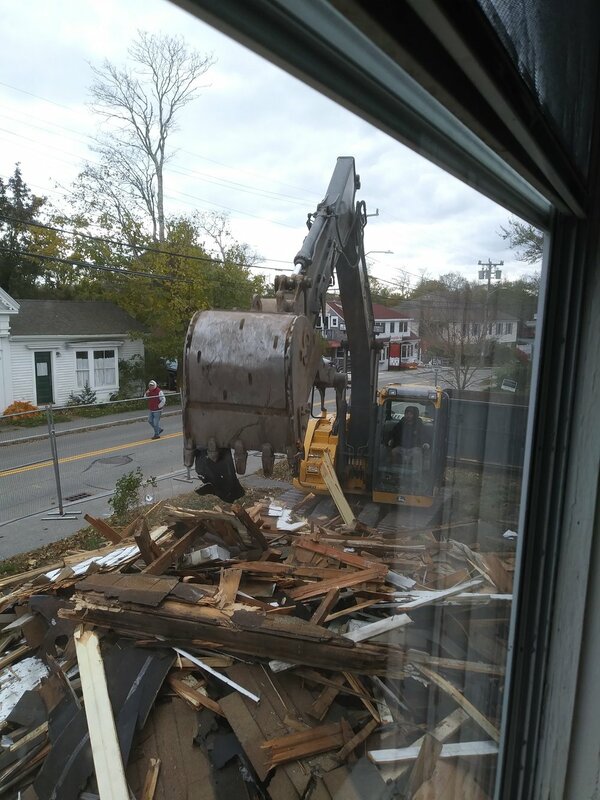 The community witnessed the demolition of the former Mulcahy studio and the extended rear portion of the building. This will make new space for events in the back yard and the new facade and gardens and pathways at the front of the newly redefined building. With the help of a noted historical architect, WHSM has developed a three-phase plan to implement our vision our vision of a integrated building with new exhibition space and facilities. The extension of the main building was built in the 40s and once accommodated an exhibit of oddities. 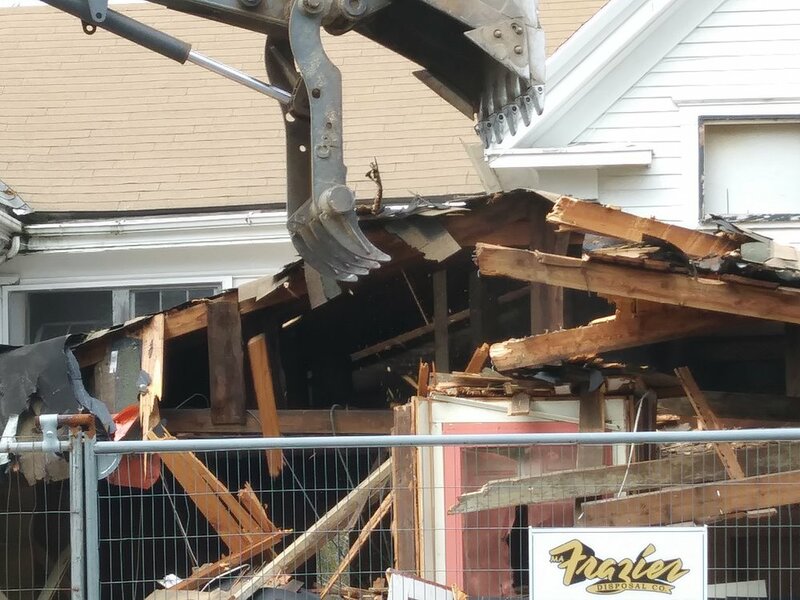 The original antique store museum at 266 Main St. (our home since 1951), 258 Main St. and 262 Main St (acquired in 2015) will be integrated into one structure housing galleries, exhibit space, research facilities and archival storage. Phase I, on track to begin in the summer of 2018, will involve removal of the additions in the front and back and restoration of the Main Street façade. Phase II will include the integration of the three structures, the restoration of the building interior, a new main entrance and reception area, the creation of new galleries and exhibition spaces and the provision of handicap access. Landscaping, including restoration of the period garden, will enhance both the front and back of the building, as well as provide access to the Town Hall and handicap parking.